An artist's rendering of what the expanded ski area at The Balsams would look like in Dixville Notch with Dixville Peak the highest point. 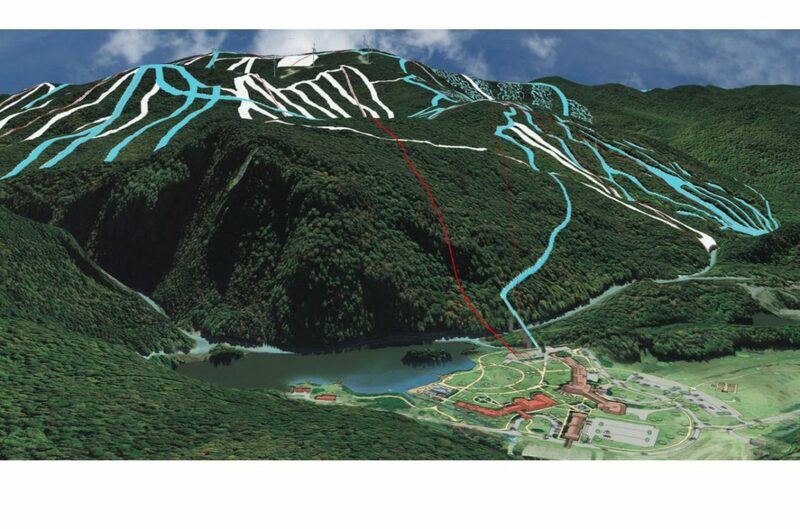 The plan includes a gondola going from the resort across Route 26 and up to a bowl area, with a lodge mid-mountain, accessing more than 1,200 acres of skiing. The resort would use water from the Androscoggin River for snowmaking and has already been permitted. At full build-out, the ski area would be the largest in the Northeast. DIXVILLE – Balsams developer Les Otten – who is looking forward to his 70th birthday – has been known as a man with a vision since graduating from Ithaca College in 1971 with a degree in business administration. Otten went to work in lift maintenance at Killington after college and at age 23, the Teaneck, N.J., native was sent by Killington’s owner, Preston Leete Smith, to work at his newest asset, Sunday River in Newry, Maine. Otten said his father (who was 65 when he was born) offered him $100,000 to “NOT” go into the ski business. After several years watching him turn his hand at it, steel magnate Albert Otten, (who fled the Nazis penniless and remade his steel fortune in America) relented, and gave him the money, Otten said. Oak Hill Capital Partners came in and bailed the company out, but sent him out as well. Otten was criticized for growing too fast, according to a 2016 book Ski Inc. by Chris Diamond. Otten has since focused on rural economic development and renewable fuel development. In 2008, he created Maine Energy Systems in Bethel, Maine, which seeks to help state residents move to local pellet fuel and other renewables to help Maine workers and forests, according to its website. An unsuccessful bid in 2010 to become the Republican governor of Maine ended in the primary, with Otten losing to former Gov. Paul LePage. Otten is also involved in developing a 62-lot subdivision located off the Sunday River Road in Bethel, Maine and a Bethel-based business called Sports Vision Technologies. Promotional video from the Balsams’ website. The bill would create a financing tool that would help move the project forward, but not leave the county on the hook if it fails. It has passed the House and will be taken up by the Senate. “It’s partly Otten, but the way he’s gone about it and the way he went about it at Sunday River,” Samson said, referring to the Newry, Maine, ski area. Some have criticized Otten for over-leveraging the resort and others. 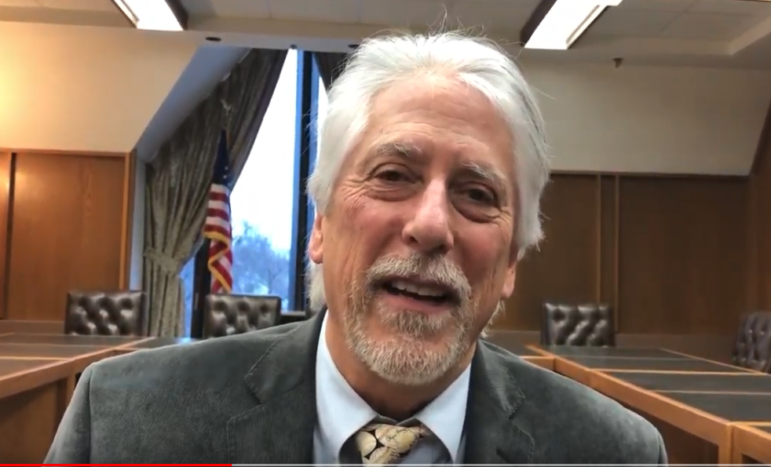 Samson said Otten’s “salesmen” came before the commission in a non-public session to give an overview of the project several years ago, and it became obvious to him that fellow commissioners Tom Brady and Berlin Mayor Paul Grenier had already been briefed, when he had not. “I said, ‘I’m not worried about re-election and I need a lot more information before I support this,'” Samson said. Both attended the hearing Jan. 29 on House Bill 540. Their opinion pieces appeared in several North Country publications. A resident of Dixville and owner of land once held by his Abenaki great-great-grandmother, Mary Titus Hodge, Tillotson said he is pleased with the size and scope of the project that Otten envisions. He believes it is perhaps the last, best hope going forward to revitalize the historic landmark hotel. Upon completion, the proposed ski area would include more than 20 new lifts and more than 1,200 skiable acres, larger than even Killington, Vt., now the largest ski resort in New England.